Find your inner peace with Fruit Zen from award-winning developer Betsoft. Playing online slot machines should be a relaxing experience tinged with excitement – Fruit Zen certainly delivers on that front. With its stunning seaside graphics and calming background soundtrack, this five-reel game neutralises stressful days. It's a win-win if the expanding wilds and free spins deliver a big payout. Read on for your guide to finding your Fruit Zen in a chaotic world. Play Fruit Zen Slot Demo for Free! Play Fruit Zen for Real Money! 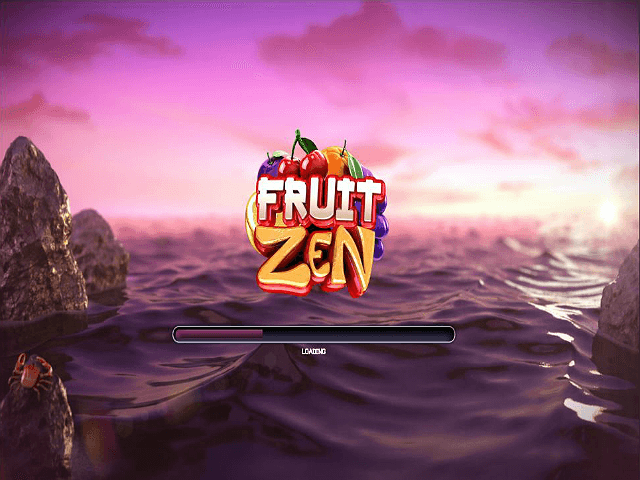 Betsoft’s range of 3D video slot titles is renowned for its outstanding graphics and visual quality – and Fruit Zen is no exception. The reels are transparent so you get to enjoy the full backdrop of the sea and the waves gently lapping against the rocks. The detail of the graphics, from the purple hue of the water to the crab lying on the rock, are very impressive. 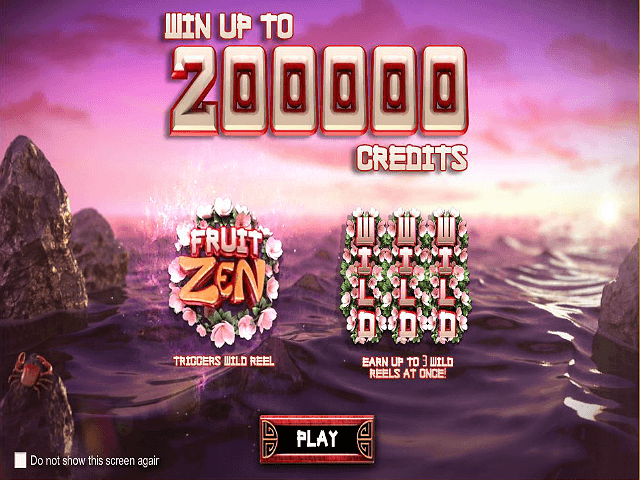 The gameplay design combines the two themes of the slot as denoted by the name: fruit and Zen. The background symbolises the serenity of Zen, while the symbols on the reels are all different types of fruit, barring the wild. The sound effects are immersive, with the soothing background music contrasting with the celebratory sounds that accompany wins. 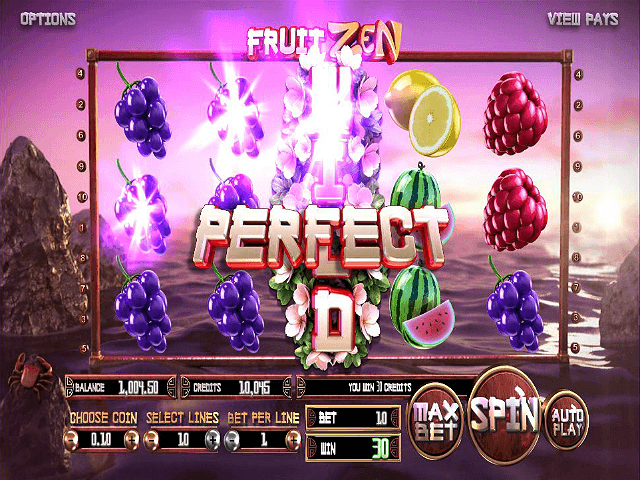 As for the slot game itself, Fruit Zen consists of five reels and ten paylines. While that’s not a lot of paylines, combinations can be formed from both left to right and right to left. If you land more than one winning combination you’ll always get paid the highest one. Oranges are the best symbols on the board, paying out 250 times your line bet if you get five of them, while the cherries are the lowest paying symbols. When setting your bet, you can choose to play one, three, five, seven, nine or all ten of the paylines. The coin value ranges from 0.02 to 1.00 and you can play up to ten credits per line, so the maximum bet here is £100. Fruit is certainly good for you in this game but the symbol you really want is the Fruit Zen logo, which acts as a wild symbol. This symbol can appear on reels two, three and four and expands to fill the whole reel. The best thing about it is that you get an automatic free spin every time you land one with the wild frozen in place. If that wasn’t good enough, you’ll receive another free spin if you land an extra wild during the first free spin. If you score another during the second spin, all three reels will be completely wild and you can rack up some pretty big wins. 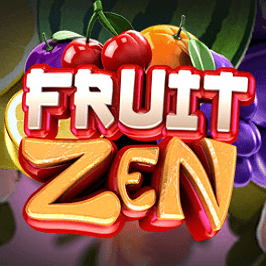 Fruit Zen is a fairly simple online slot game in terms of its gameplay and features but the impressive graphics and relaxing soundtrack make it a pleasant choice for newbies and seasoned players alike. For the fortune hunters, this game's expanding wilds and free spins deliver some handsome payouts to boot. Share this Fruit Zen Review today! 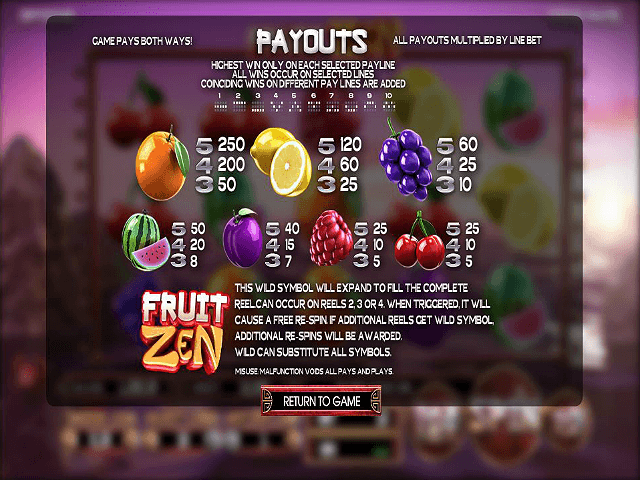 If you like Fruit Zen, you'll love these slot titles too!